Avarua School were crowned champions of the primary school senior boys’ and girls’ football tournament on Wednesday. A decisive 2-0 win over Apii Nikao for the boys and a 2-0 win against Papaaroa for the girls at the CIFA Complex in Matavera secured them the 2018 title. Avarua School dominated the knockout stages of the competition for a deserved victory. In their semi-final tie, Avarua proved too strong for Te Uki Ou School 3-0 to set up their title clash with defending champions Apii Nikao who defeated Nukutere 3-1 in the other semi-final battle. The exciting match with Avarua and Apii Nikao saw both sides determined to win. Avarua showed skill and football flair as they scored early in the match. Apii Nikao tried tirelessly to shut down their opponents and score some goals of their own but Avarua found the back of the net twice ending the match with a two-nil win. Avarua school notched first place in the primary school senior boys first place in the senior boy’s division, with Apii Nikao finishing in second and Nukutere in third. 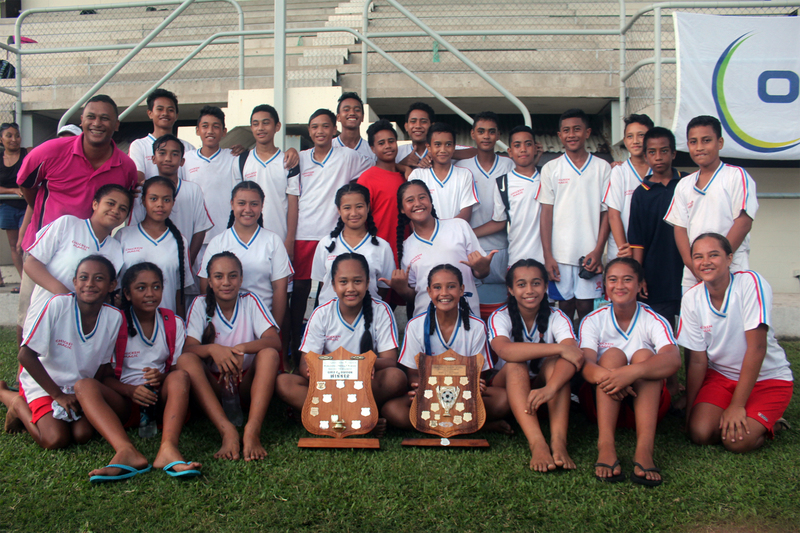 In the girl’s division Papaaroa school caused an upset when they defeated Arorangi school in their semifinal battle. Arorangi school stamped authority throughout the group stage. They started their campaign by defeating Avarua 2-1, then eased to a 4-0 win over Titikaveka but lack of composure during a penalty shootout against Papaaroa saw them lose out on a finals berth. Avarua School went on to defeat Papaaroa in their finals clash and won 2-0. Following these matches, the presentation of trophies was conducted and presented by CIFA General Secretary Mii Piri and CIFA Vice President Junior Areai. CIFA would like to congratulate all schools who have achieved and won this year’s championship and to all of those schools who participated in the competition.